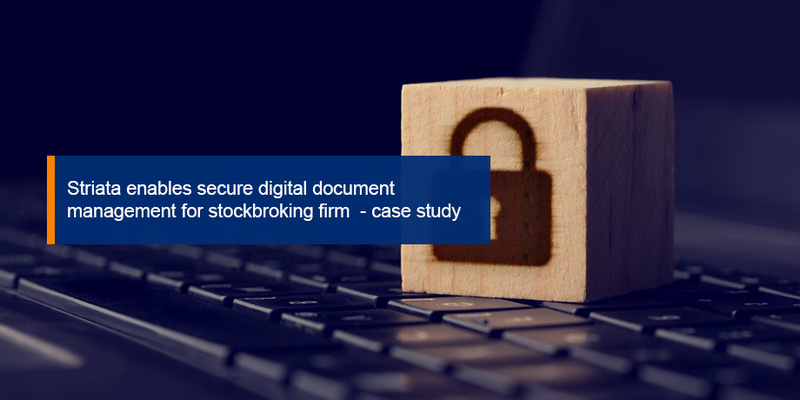 A stockbroking firm affiliated to the Barclays Group has implemented Striata’s customer communication solution to manage digital documents (eStatements, contract notes and tax certificates) that can now be accessed securely by its investors and brokers. Implemented for the client as a private cloud, the solution provides both secure document distribution by email and secure storage for online access via existing investor interfaces – enabling access to documents across multiple channels whenever an investor or broker needs it. Additional benefits to implementing this solution include cost-savings achieved by the conversion from print to digital documentation, meeting the client’s legislative compliance requirements regarding data privacy and the availability of enhanced insights into how recipients are interacting with the communications they receive.